The search for exoplanets – planets orbiting other stars – has really ramped up in recent years, with new telescopes, both space and ground-based, being launched, built and on the drawing board. Those efforts have already discovered thousands of exoplanets, both confirmed and additional candidates. 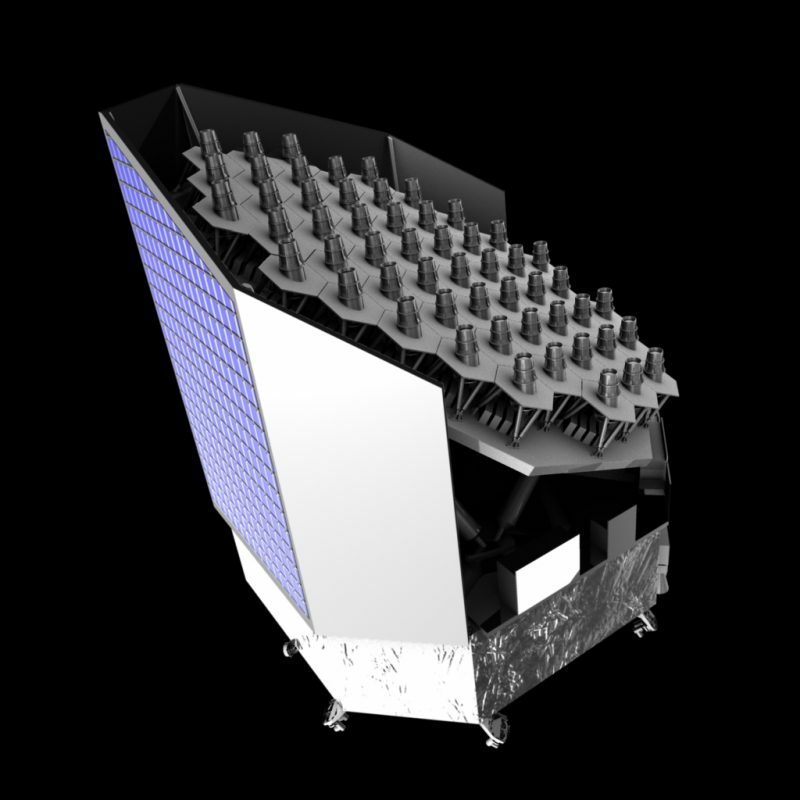 On October 4, 2018, the initial construction of one of the latest additions to the exoplanet-hunting family was announced – the European Space Agency’s Plato mission. The announcement was made at the 69th International Astronautical Congress in Bremen, Germany, where the new contract was signed. 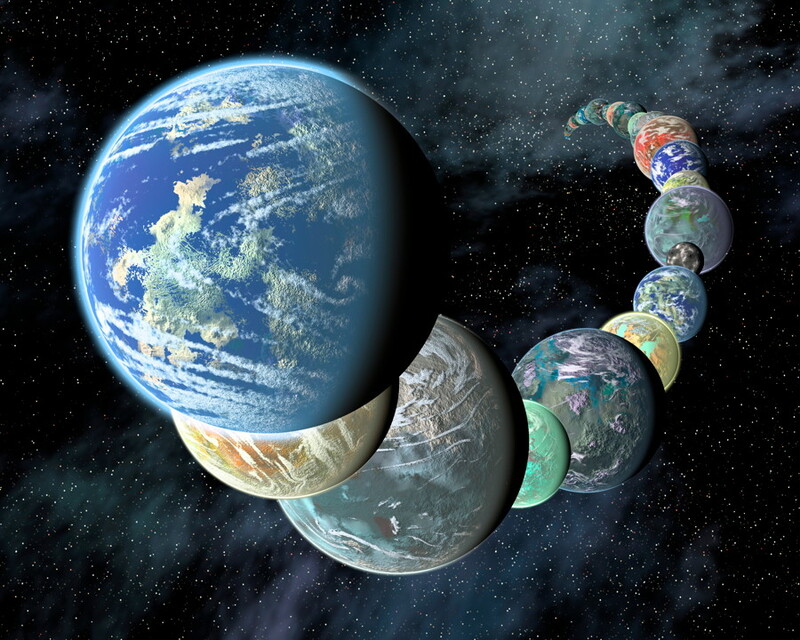 NASA’s Kepler Space Telescope has found the majority of these new worlds, but that mission is now winding down as the spacecraft runs out of fuel. The TESS telescope, which launched just a few months ago, has already found its first couple of planets after beginning science operations more recently. 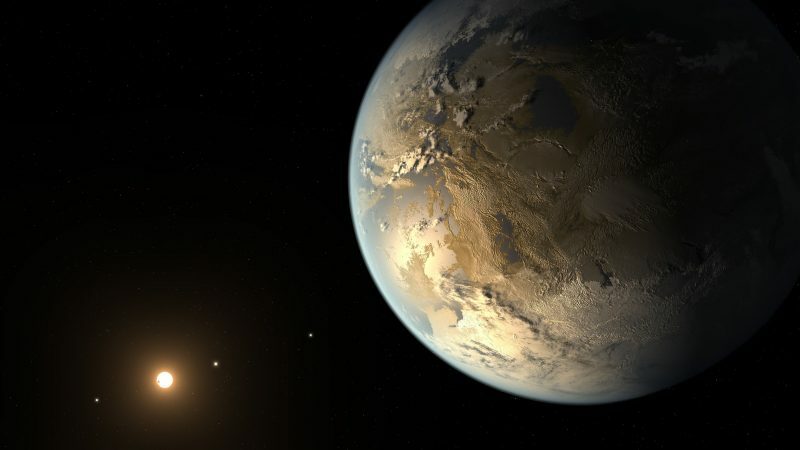 Kepler focused on finding planets of various sizes and masses around stars many light-years away, and TESS will observe brighter stars much closer to our solar system, focusing on planets about the same size as Earth, including in the habitable zones of their stars, where liquid water could exist on their surfaces. 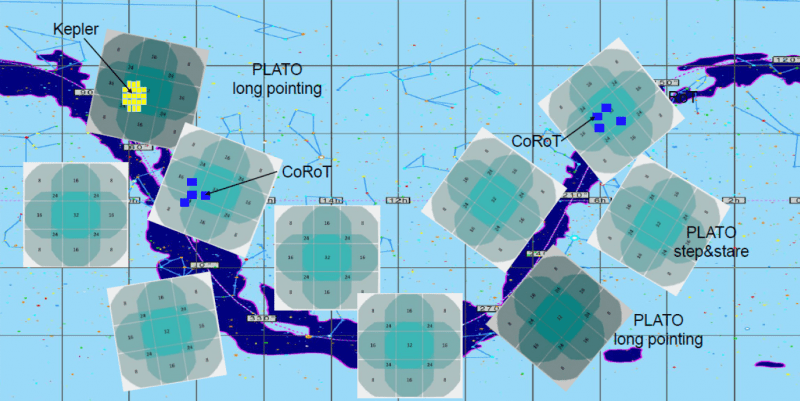 While Plato’s focus will be on finding the planets, it will also examine the their masses, sizes and ages with unprecedented accuracy, as well as study the properties of the host stars, even the stars’ seismic activity – known as asteroseismology – which will help scientists better understand stellar interiors and evolution. Plato will be able to determine a star’s mass with 1 percent accuracy. By looking at the properties of the planets themselves in detail, scientists will be able to determine the architecture of exoplanetary systems and whether they might host habitable worlds. 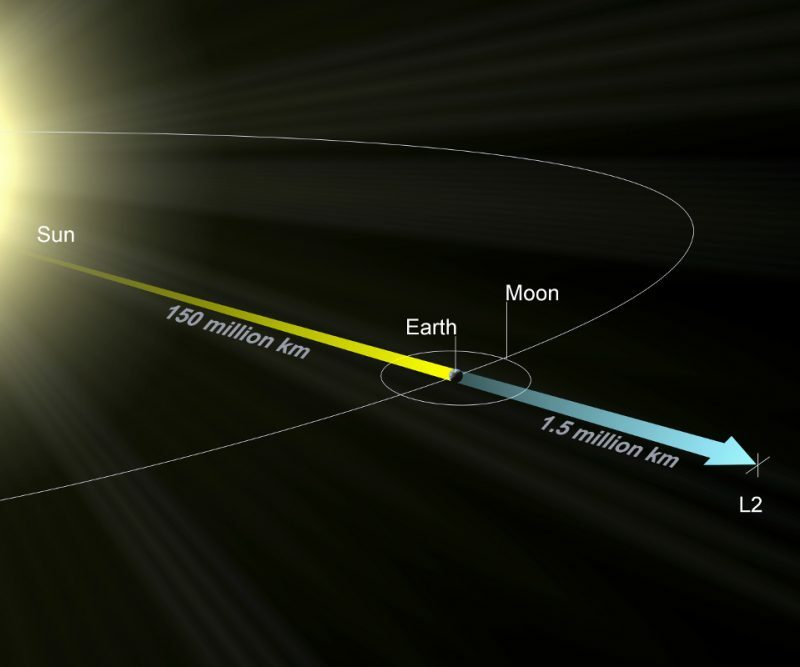 Plato will operate at the L2 Lagrange point in space – 1.5 million kilometres (0.93 million miles) beyond Earth as seen from the sun. Its nominal mission will last for six years, in three stages. 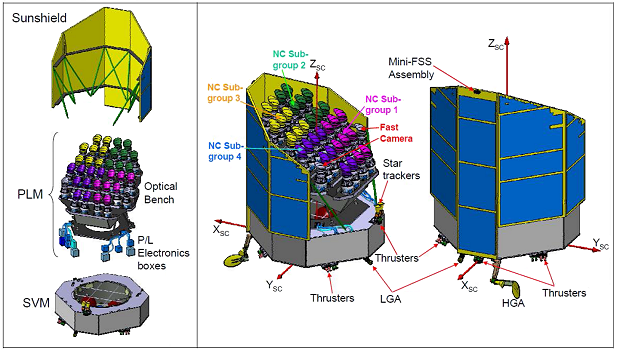 The first two will be long-duration observations, focused on two sky fields thought to hold a high density of cold dwarf stars and designed to detect transits with an orbital period similar to Earth’s. The first observation phase will last 2-3 years and the second will last two years. The third and last phase of the mission will be a “step-and-stare” phase, during which different parts of the sky will be monitored for a few months each, and will last for at least one year. 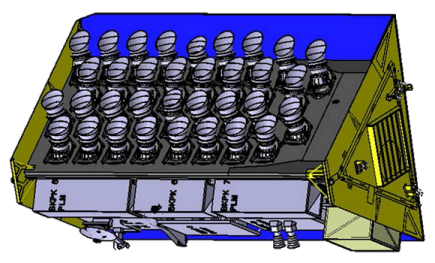 Plato will be a follow-up mission to Cheops, ESA’s next planet-hunter. Cheops will be launched much sooner – next year – and conduct more detailed studies of already-known exoplanets, in particular super-Earths – rocky planets larger than Earth but smaller than Neptune – and Neptune-sized analogs. After Plato, the Atmospheric Remote-sensing Infrared Exoplanet Large-survey (AERIAL) mission will be launched in 2028, to observe a wide range of exoplanets – from rocky worlds to gas giants – and examine their atmospheres, much like NASA’s upcoming James Webb Space Telescope (JWST). Studying the planets’ atmospheres is vital in trying to determine which ones may be habitable – or even inhabited. JWST will even be able to look for biomarker gases in the atmospheres, which, if found, would be compelling evidence for active biology. Bottom line: The Plato mission will be an important one in the search for rocky and potentially habitable planets like Earth orbiting other stars. Such worlds are a primary focus for astronomers as they are the ones most likely to be able to support life. SUBSCRIBE TO GET THE LATEST PLANETARY NEWS!